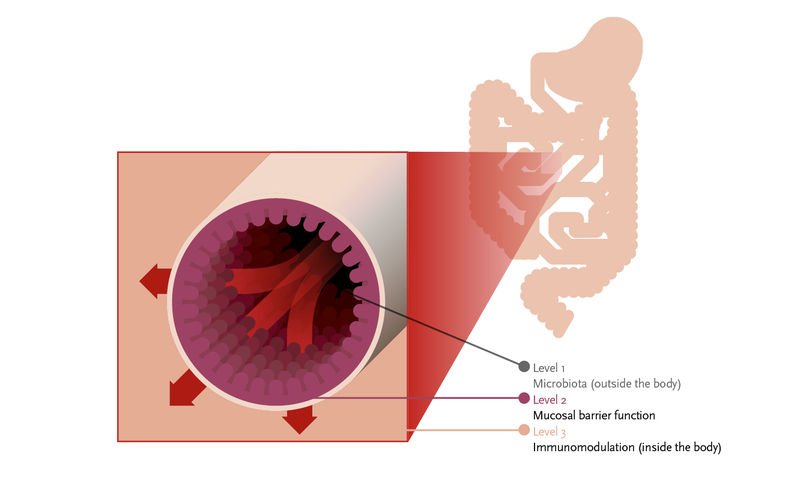 Figure 1: Ecologic® ALLERGYCARE is a multispecies probiotic formulation, able to prevent disturbances on two levels in the gut. Allergic diseases are caused by hypersensitivity of the immune system to harmful substances in the environment. Major allergic diseases include asthma, food allergies, allergic rhinitis (AR) and atopic dermatitis (AD) or eczema. Figure 2: Major changes in microbial exposure in the first half of the century are believed to trigger the accelerating increase in allergic diseases. Watts AM, West NP, et al. Probiotics and Allergic rhinitis: an optimal two-stage design to determine effectiveness. Journal of Alternative and Complementary Medicine; 2016. Yesilova Y, Calka O, et al.Effect of probiotics on the treatment of children with atopic dermatitis. Ann Dermatol 2012;24:189-93. 1. Asher MI, Montefort S, et al. Worldwide time trends in the prevalence of symptoms of asthma, allergic rhinocon- junctivitis, and eczema in childhood: ISAAC Phases One and Three repeat multicountry cross-sectional surveys. Lancet 2006;368:733-43. 2. Bowatte G, Lodge C, et al. The influence of childhood traffic-related air pollution exposure on asthma, allergy and sensitization: a systematic review and a meta-analysis of birth cohort studies. Allergy 2015;70:245-56. 3. Devereux G. The increase in the prevalence of asthma and allergy: food for thought. Nat Rev Immunol 2006;6:869-74. 4. Pawankar R, Holgate ST, et al. WAO White Book on Allergy 2013 Update. World Allergy Organization 2013. 6. AzadMB,ConeysJG,etal.Probioticsupplementationduring pregnancy or infancy for the prevention of asthma and wheeze: systematic review and meta-analysis. BMJ 2013;347:f6471. 7. Kramer A, Bekeschus S, et al. Maintaining health by balancing microbial exposure and prevention of infection: the hygiene hypothesis versus the hypothesis of early immune challenge. The Journal of hospital infection 2013;83 Suppl 1:S29-34. 8. Haahtela T, Holgate S, et al. The biodiversity hypothesis and allergic disease: world allergy organization position statement. World Allergy Organization Journal 2013;6:3. 9. Watts AM, West NP, et al. Probiotics and Allergic rhinitis: an optimal two-stage design to determine effectiveness. Journal of Alternative and Complementary Medicine; 2016. 10. Yesilova Y, Calka O, et al.Effect of probiotics on the treatment of children with atopic dermatitis. Ann Dermatol 2012;24:189-93.